Sometimes coming to pack and move client’s stuff, Best Hamilton Movers have to deal with green giants, like indoor trees or climbing shrubs. Without doubts those giant indoor trees that touch the ceiling are amazing and impressive until… moving day. Moving your green treasure, you should think of many things. First of all, think about climate conditions and special care about fragile branches. Keep same environment or make it as closely as you possibly can to that your tree is used to. It’s suggestion number one from our Movers in Hamilton. If not, you’ll make the tree to get in great shock. In case it’s incredibly sensitive, you’ll have to cover branches with paper. For tall plants, load up peat moss to the top of pot. Cover each container with vinyl and tie up it with string or tape. You’ll be able to tip the plant on the side inside the truck devoid of dropping all the soil mix and making a mess. Cover loosely top of your plants with paper or newspaper: damp in summer, dry in the winter months. Close up the covers and secure with tape.In case your plants are traveling inside your home delivery and some certificate are required, give those to our movers. 4. 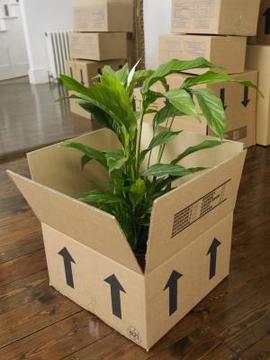 If your plant is not massive and you plan to take it with you in the car, be sure the movers know they aren’t for being loaded into the truck.Load your plants into the vehicle at the very last minute. Be certain they won’t be smashed or tipped over.